"It's important to try to keep on winning and pushing forwards," Courtois told Chelsea TV. "At the moment City is winning. They are far ahead. But you never know in football. You can have a bad month, three or four games you lose, you lose points. "We have to be there winning our games, to maybe have a little chance. The season is still long. "Our main goal, if we cannot be champions, is to be second. We have to keep on winning." "It's important to win in the League Cup, to go through to the semi-final. 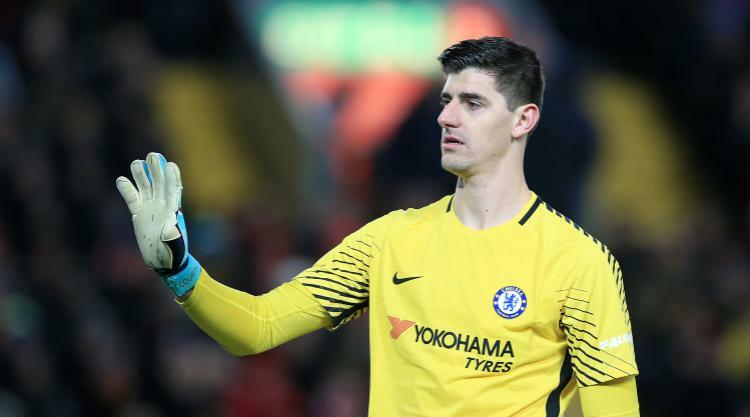 The FA Cup will start in January," Courtois added..
"Champions League we have a tough draw against Barcelona. We are a big team as well. We have chances to win and go further as well. "We still have a pretty busy season." "I want to continue this way, but at the same time we want to reach the semi-final."